Fruugo is a UK based e-commerce company, which is a global marketplace offering thousands of sellers to cater services of sports and leisure, health and beauty, clothing, home and garden, kids, toys and more. It operates in 23 countries across the globe with great products and enthusiasm to deliver it to the customers. Fruugo Integration for Magento 2 is a fabulous API integration that helps Magento® 2 store owners to synchronize inventory, price, and other product details for product creation and management between Magento 2 store and Fruugo marketplace. 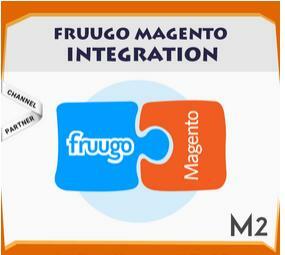 TheFruugo Integration for Magento 2 extension interacts with Fruugo marketplace to integrate the synchronized product listing between Magento 2 and Fruugo retailers. After the installation, the merchant can create Fruugo categories and the dependent attributes on the Magento 2 store. The process enables the merchant (admin) to configure the desired product category into Magento 2 for automatic submission of selected product on the same category on Fruugo. Upload product based on profile: An admin can create a profile, map the Fruugo category and attributes to the Magento 2 category and attributes. Then, after assigning the product to the profile can easily upload the product to Fruugo. Attribute mapping: The feature allows mapping the suitable existing attribute with Fruugo attributes to one single category of Fruugo. Archive and Unarchive Products: Merchants can close and reopen the products on Fruugo.com using the Archive and Unarchive feature. Archive disables the products on Fruugo.com and Unarchive enables the archived product. Upload Products in Bulk: The admin has the option to upload the products in any number of the bulk amount on Fruugo website using this feature. Enable and disable of products: A merchant can anytime open and close the products on Fruugo using enable and disable the feature. Simple and configurable product upload: The admin can upload the simple and configurable type of Magento 2 product on the Fruugo website.